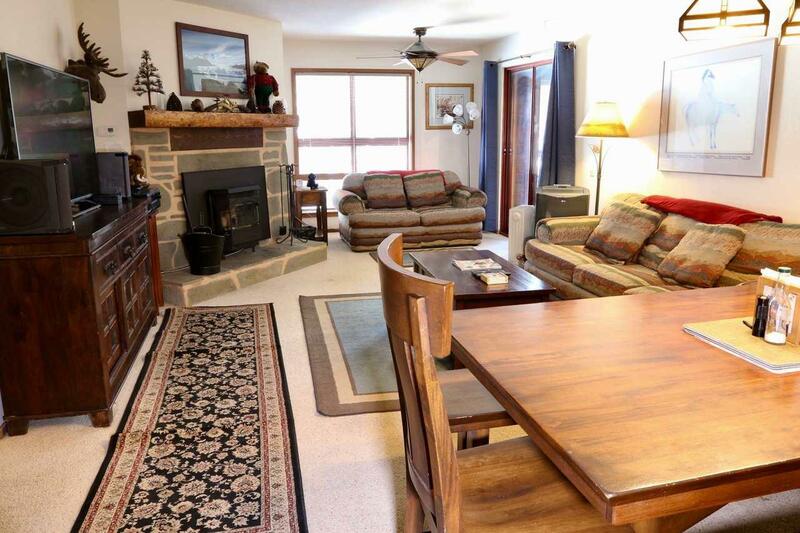 Mammoth Ski Condo, Aspen Creek 2 bedroom / 2.25 bath (3 vanities) condo, easy walk to Eagle Express and Eagle Base. 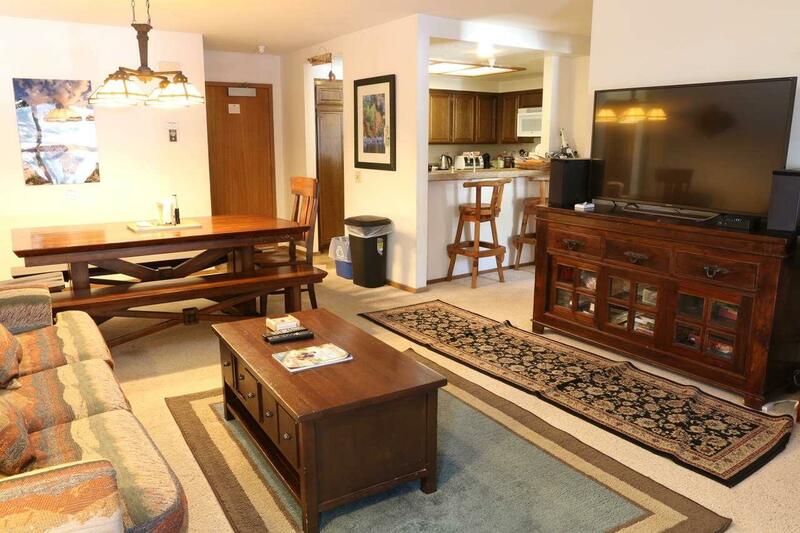 This condo has not been on any rental program but could easily move onto a nightly rental program. Solid granite counter tops in kitchen and baths. Newer tile floors in kitchen, baths, shower surrounds and mudroom. Newer appliances in kitchen. Pellet burning insert in fireplace so no retrofitting required. Large, corner master suite with vaulted ceiling, windows and natural light. Large wardrobe closets in both bedroom/baths. Understructure parking and elevator. 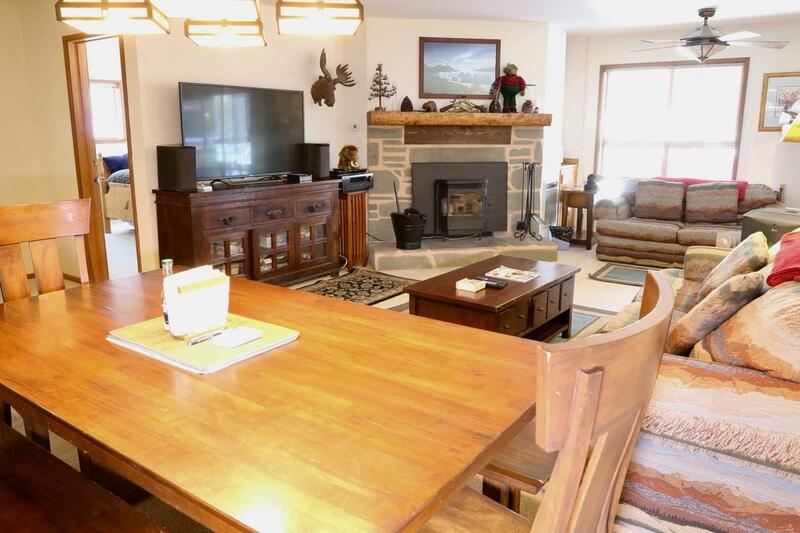 Sold fully furnished including 4K TV in living room. This unit location has easy access to the pool and spa. In summer the location is adjacent to the Town bike path and open space. 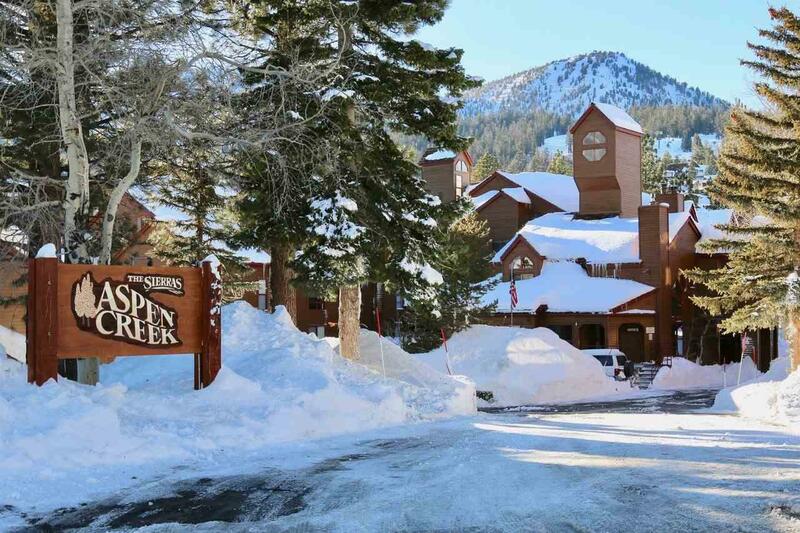 Aspen Creek is now managed by Mammoth Resorts. Listing provided courtesy of Paul Oster of Re/Max Of Mammoth.